1099s can be taxing! Not literally because they are merely informational returns that must be filed with the IRS, but if you fail to file significant penalties may apply! But “taxing” in terms of the amount of time required to comply when you could be working on other pressing matters. Or “taxing” in terms of trying to understand the arcane, complex and sometimes contradictory rules. 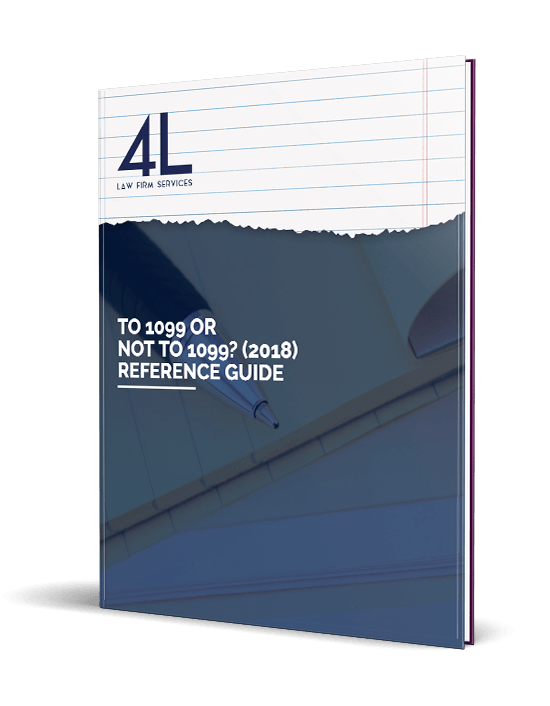 To help you with the Do’s and Don’ts of the Form 1099 process as it applies to most law firms, 4L has put together a free reference guide “To 1099 or Not to 1099?” Fill out the form on the right to download today!